This is kind of a different review, in that the sandwich I’m reviewing isn’t on the menu at most Big Boys anymore. However, I still need to dedicate an entry to it because this particular sandwich was one of the most delicious I’ve ever tasted, and I know that it’s still available in some Big Boys. The sandwich in question is the Big Ringer. The Big Ringer is one of a series of Big Boy sandwiches which could be prepared with either a grilled chicken breast or a hamburger patty. 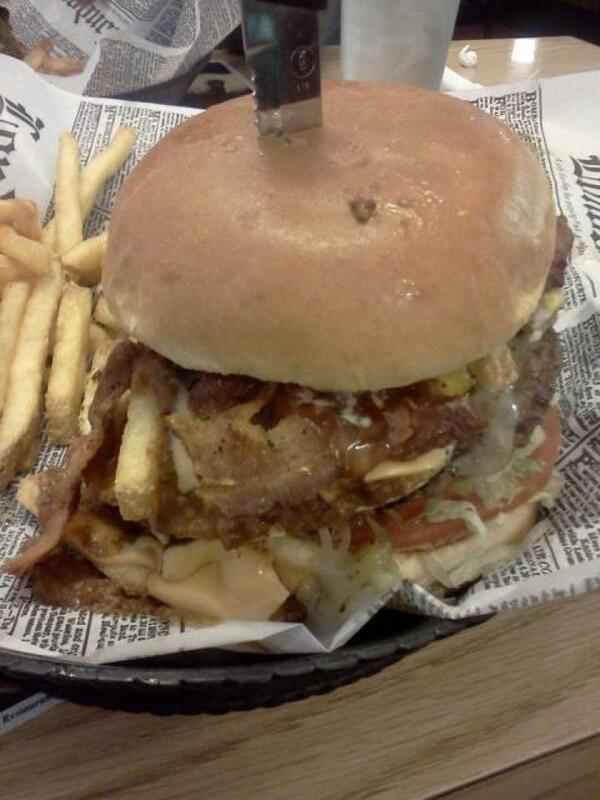 The Big Ringer consisted of your chosen meat, ranch dressing, melted mozzarella cheese, and two onion rings. For the purposes of this entry, I’ll be describing the sandwich with the chicken breast. The Big Ringer is a success in two ways. The first is in terms of concept. Onions on a sandwich is pretty commonplace. They’re not bad, but they’re generally not noteworthy. Onion rings, on the other hand, are something different. The combination of onion rings and ranch dressing on a sandwich is definitely some outside-the-box thinking. The second way the Big Ringer succeeds is in execution. The grilled chicken breast is cooked to perfection. The melted cheese is important as well. I sometimes feel like mozzarella gets passed over sometimes in the sandwich world for more flavorful cheeses like cheddar or swiss. The mozzarella adds a lot to the sandwich without being overpowering. The onion rings are a great choice too. Whenever I ordered the sandwich they were huge. Onion ring was present in most bites, a level of consistency sometimes lost by those little onion “straws” which seem to be all the rage now. The ranch dressing complemented the mozzarella well and really brought the sandwich together. Overall, the Big Ringer is one of the greatest sandwiches I’ve ever had in my life. 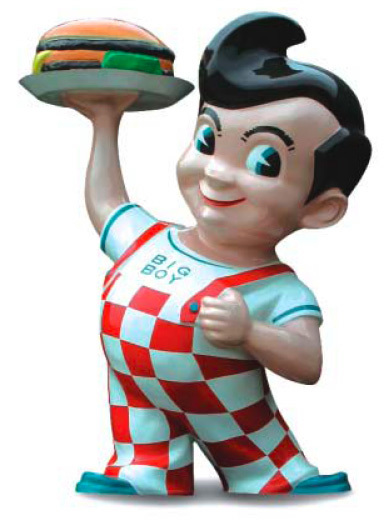 It doesn’t appear on the most recent update of the Big Boy menu, and I couldn’t even find a picture of one online. However, I do know that some older Big Boys still serve it. If, by the grace of God, you are ever in the situation to order one, do it. It may change your life.